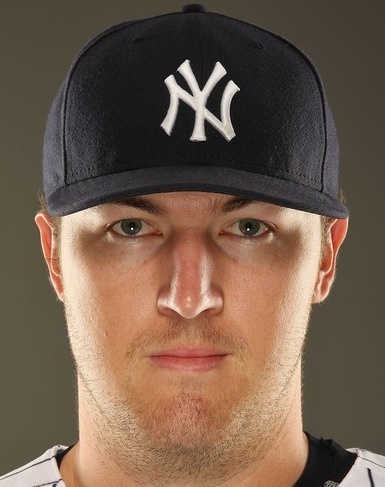 So, I have stood by Phil Hughes since he came up in 2007 and he was supposed to be the next best thing in the Yankees rotation, the homegrown talent that the Yankees were waiting for that could help carry the pitching staff behind the superstar signings the Yankees were known for. Since then Hughes has been one of the most inconsistent pitchers in the Majors, and possibly I have seen in my lifetime. Therefore I have given up …. mostly. Since Hughes’ debut he has pitched himself to a 56-47 record with a 4.49 ERA, with his best year, 2010, being a solid 18-8 with a 4.19 ERA. The biggest issue with this was that before the All-Star break Hughes was great pitching to a 11-2 record with a 3.65 ERA, but a mere 7-6 record 4.90 ERA after the All-Star break. As a spectator, Hughes’ biggest problem is his inability to keep the ball down in the zone. He still throws around 95 MPH with his fastball and has a decent breaking ball. The problem is his fastball is consistently up in the zone and at Yankee Stadium a.k.a “The Launching Pad” you can kiss most of those pitches goodbye, he has given up a staggering 110 home runs in his career, with 22 coming this year. So, yes it looks like the Yankees will finally give up on their former “can’t miss” prospect, but I think they should reconsider. In 2009 Phil Hughes was moved to the bullpen because of the issues with the relief pitchers before Mariano Rivera. As a relief pitcher and mostly a setup man for Mariano, before David Robertson came along to dominate the 8th inning, Phil Hughes registered an 5-1 record with a 1.40 ERA with 65 strikeouts in only 51 innings. For his career Hughes is 6-2 with a 1.44 ERA with 70 strikeouts in 56 innings pitched and .91 WHIP, clearly he hasn’t pitched much more out of the bullpen besides 2009. However, let’s delve a little further in the numbers here. In those 61 innings Hughes only gave up 2 home runs, hitters were only hitting .172 against him with a .237 OBP and a .232 Slugging percentage. In addition, he yielded no sac flies, which means two possibilities, first that not many guys were on third base or two that when anyone was on third base, he did not give up a fly ball out with less than 2 outs. That last notion is mind boggling when you consider who were talking about here. Hear me out. The Yankees should re-sign to a two year deal in the $2-4 million range with the intent of him becoming the 8th inning guy for David Robertson and/or fighting for our closer duties with Robertson. I think that bringing Hughes out of the bullpen will only benefit the Yanks and himself. He should not be brought back as a starter, because clearly that won’t work, but Cashman should sit down with Hughes and his agent and make him a decent deal with the promise of becoming the 8th inning guy or the Yanks’ new closer. 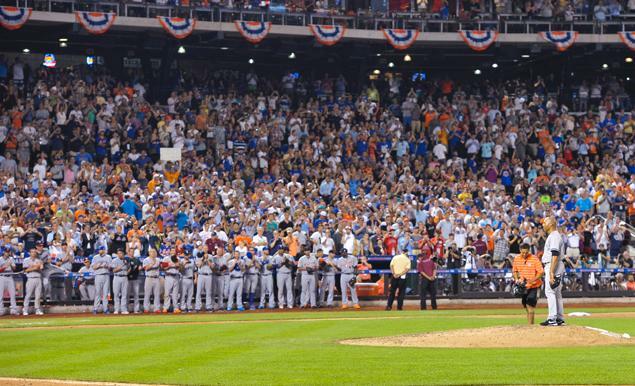 Last night was the MLB All-Star game at Citi Field, and as usual most people didn’t care. The All-Star really started to lose its luster in 2002 when the game was played at Miller Park in Milwaukee. The game had pushed on to the 11th inning and the managers had used up all of their pitchers to this point. Bud Selig thought it smart call the game in a tie, with no MVP being awarded. After this Bud Selig decided it was a good idea to make the All-Star game worth something, disabling his own “ability” to end the game in a tie if need be. The All-Star game winner (National league or American League) would be awarded home field advantage in the World Series. Now, many of you might not know the rules of the All-Star voting. It is made up 50% of fans vote, selecting starters and reserves as well as 50% Manager picks; however, each team must have one representative be “selected” to the game. Consequently, each year the Royals, Tigers, Indians, Blue Jays, Pirates, Astros, Mets, Marlins and so on have been in the cellar, each has had a player go to the All-Star game that would soon mean much more to teams that would actually make the playoffs. Silly isn’t it right? Major League Baseball was saying okay this is the “big boy” game that counts for something because in baseball home field advantage does mean something (the last three World Series have been won by the team with the home field advantage.) Then, they turn around and say, “It’s okay Billy one of you will make the All-Star team. We won’t leave any of you guys out. We promise!” A little contradictory, but I still watch the damn thing, or most of it each year. This year was a pitcher’s game, ending in a 3-0 victory for the American League. Max Scherzer and Matt Harvey both started, and Harvey dazzled his hometown crowd after letting the first two guys on. He also belted Robinson Cano above the knee with a 96 mph fastball, no biggie. The two runs were manufactured runs. Jose Bautista hit a sac-fly off of Patrick Corbin scoring Miguel Cabrera. The next inning J.J. Hardy grounded into a fielder’s choice scoring Adam Jones. 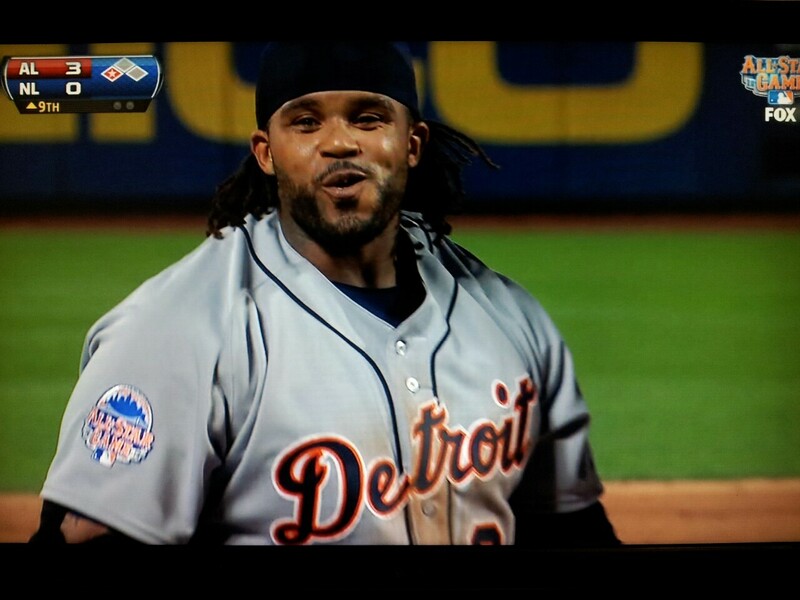 Finally, in the ninth, Jason Kipnis doubled in Prince Fielder, who was standing on third after his hustling triple. However, the most important part of the game happened in the eighth inning when Mariano Rivera entered the game as “Enter Sandman” played behind him. Jim Leyland called on Mariano to pitch the eighth because he didn’t want to chance the National League making a comeback and Mo not being able to reach the field if there was no bottom half of the ninth inning. The most eye-opening occurrence was that nobody took the field with Mo, but by the time he reached the mound both dugouts were on their feet cheering and applauding for him, along with the over 45,000 that were in attendance at Citi Field (a rival’s ballpark.) You could see the emotion in the building, the players as well as in the greatest closer of all time, who will be the last person in baseball to regularly sport the number 42. It may not be the best show on earth, but last night’s game showed the class and respect for greatness that is still instilled within baseball. Now baseball turns their sights to the second half, which will be dominated by the trade deadline, the playoff race, and a crap ton of more A-Rod and Yasiel Puig talk. The GOAT, Ladies and Gents!